In the run up to Christmas the property market always gets a bit frantic as people try to complete their moves before the festivities begin. As the leading estate agent in Beaconsfield we always aim to keep our clients and readers well informed on the state of the market – this helps people to make informed decisions when searching for properties for sale in Beaconsfield. RightMove periodically publish their House Price Index and we think it provides a great overall picture of the national property market. It covers both sales and lettings and really helps us to gauge how our location is doing in comparison with the wider market. As we have said before, Beaconsfield is an extremely desirable location and therefore the market remains fairly stable. On average the prices of properties coming to market fell by 1.7% in the last month. This is fairly normal as people aiming to sell around this time of year are keen for a quick sell and often price their properties more competitively. However, this is the largest fall since 2012 – much can be attributed to the uncertainty surrounding Brexit, along with sellers trying to accommodate the perennial stretched affordability issue we see at this time of year. In high-end commuter towns like ours, while we have seen a slight drop in asking prices, it doesn’t seem to be hitting as hard as elsewhere. Demand still outweighs supply in our area and there are some bargains to be had as people look to be settled early in 2019. 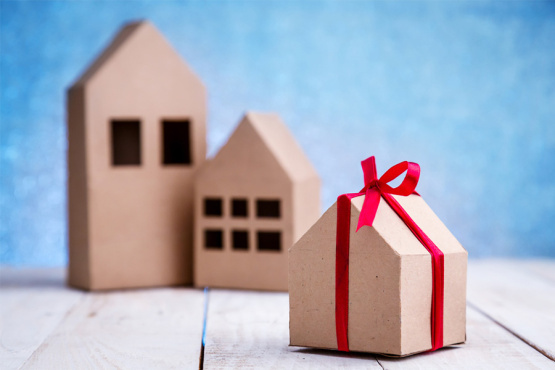 The fall in house prices has been hailed as a Christmas present to buyers with more transactions being completed than at the same time last year. The rental side of the market is not immune to the effects of the wider climate. In fact, there are now nearly 9% fewer properties available for rent and mortgage approvals for new buy-to-let purchases drops by 14% compared with this time last year. The lack of properties means that the average asking rent outside London has topped £800 for the first time. This quarterly rent rise of 0.8% is the biggest jump in three years. In the Capital, the number of available rental properties is down by nearly a fifth on last year with agents reporting that they’re finding tenants four days sooner as demand massively outweighs supply. If you would like to speak to a member of our expert team about your property or if you would like some advice, make sure you pop in to see us, call us on 01494 680018 or email us. You can find properties for sale in Beaconsfield on our website and follow us on Facebook, Twitter, Instagram and LinkedIn for all the latest updates.